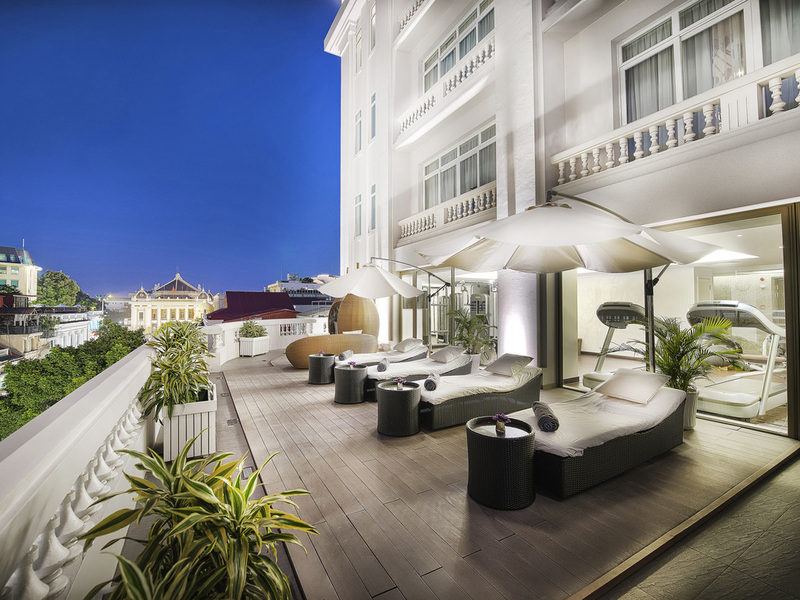 The 5-star Hotel de l'Opera Hanoi is located in the center of Hanoi, close to the Opera House. Just 3 minutes walk from Hoan Kiem Lake and the Old Quarter, the 107 rooms and suites are a sanctuary of comfort, with hand picked luxurious amenities and 21st Century technology. Restaurants, bar, four-season swimming pool and free WIFI combine to deliver memorable operatic moments for both business and leisure travellers. For ultimate comfort all rooms feature innovative, custom-made beds consisting of mattresses enhanced by a super-thick featherbed topper and perfectly complemented by downy soft duvets and over-sized pillows. Indoor courtyard restaurant serving exquisite Vietnamese food.